As we expected when we first heard of the surprise announcement yesterday, Microsoft has officially unveiled a new brand of tablet devices, however, as opposed to being a Barnes & Noble Amazon competitor, the firm is aiming right for the heart of Apple and its iPad with what is purely its own brand, to be known as 'Surface'. Microsoft announced two Surface tablets, one featuring an NVIDIA-based ARM chip with Windows RT, the other an Intel Core i5 Ivy Bridge with a full-blown Windows 8 Pro OS. Microsoft's most unique selling point is its keyboard covers, which are essentially a magnetically attached, 3mm-thick smart cover, however these covers feature a full keyboard and track-pad despite their highly compact size. To understand where these two models stand, the Windows RT variant is clearly going for the iPad kill, with its thickness sitting somewhere between the iPad 2 and 3 and, whilst slightly heavier, the device is sporting a 26 per cent larger battery. Microsoft would not confirm the screen resolution, only that it's not 1080p, however we suspect it may be higher than a standard 720p offering as well. Important points to note are that the device features a full-size USB 2.0 port and comes with a basic copy of Office 2013. The Windows 8 Pro Surface tablet variant offers something else entirely, a full business-ready computer, in the form-factor of the original iPad, though slightly heavier, we suspect this is going to have some serious appeal, dependant on the battery life, which at 42Wh should be around seven hours based on what we know of Ultrabooks with similar specs, though, with clock speeds to be announced, we can't be sure. Unique features here are a Full HD 1080p display, full-size USB 3.0, microSDXC and a Mini DisplayPort - so at the very least you've essentially a media-hub / high-speed portable USB 3.0 flash drive. This edition also has a pen accessory, though, how accurate this is remains to be seen but it's sounding like it may be more than just a capacitive addition, at the very least, with Gorilla Glass 2 and an optical bonding method, the distance between the screen and the pen is only 0.7mm, which should allow from some pretty accurate note taking. 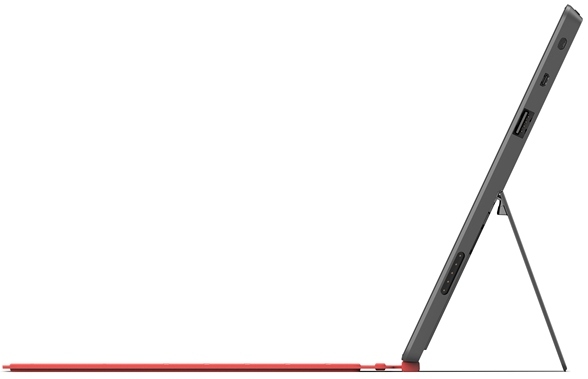 Both variants include a built-in stand for propping the tablet up without any need for further accessories. The 3mm-thick Touch Cover is a flat, touch sensitive surface, capable of detecting both the speed and force of any finger movement, alternatively, there's a traditional Type - keyboard - Cover with real keys, that is still fairly thin at 5mm. Covers will initially be available in five colours. The Surface for Windows RT certainly has the makings of an iPad killer, however, without a Retina display, we suspect that it's more likely to appeal to potential Android users who would want to make the most of the full-size USB 2.0 and Windows code-base. 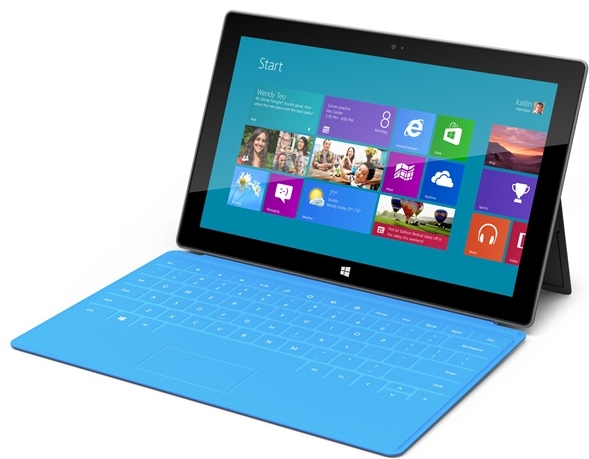 The Surface for Windows 8 Pro, however, we can see as very successful if both the battery-life and price are right, as it's truly a tablet that is also a PC. This genuinely looks awesome, If it's not too expensive and is good when reviewed I may get one. and they've taken notice of the limiting features of ipads. Including Office is also a huge win. A 3 month wait until we can order though ? I'm actually rather impressed. I'm just waiting to see what they do the ruin it. There are a few things that will determine if I buy one: price; cloud-based backups and software downloads; the quality of that keyboard; price (did I say price?). Good to see ARM mixing it up with Intel; I appreciate the opportunity to buy British. Does anyone understand the significance of the magnesium body? What does that offer? Tensile strength and weight? I remember magnesium going up like a firework in chemistry class, let's hope the battery doesn't get too hot.